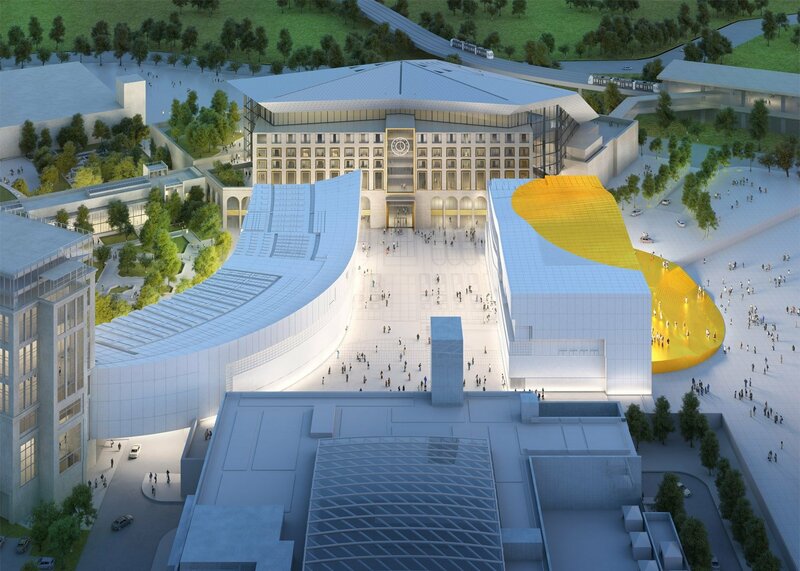 The year of 2017 is the heyday for architecture industry. During this year, some large-scaled projects have lunched in succession: Elbphilharmonie Concert Hall designed by Herzog and De Meuron, Apple Campus 2 by Norman Foster, Louvre Museum in Abu Dhabi by Jean Nouvel, and Zeitz Museum of Contemporary Art Africa by Thomas Heatherwick. And we won’t deny that 2018 would be better. Let AIMIR show you the 10 most anticipated building of 2018. 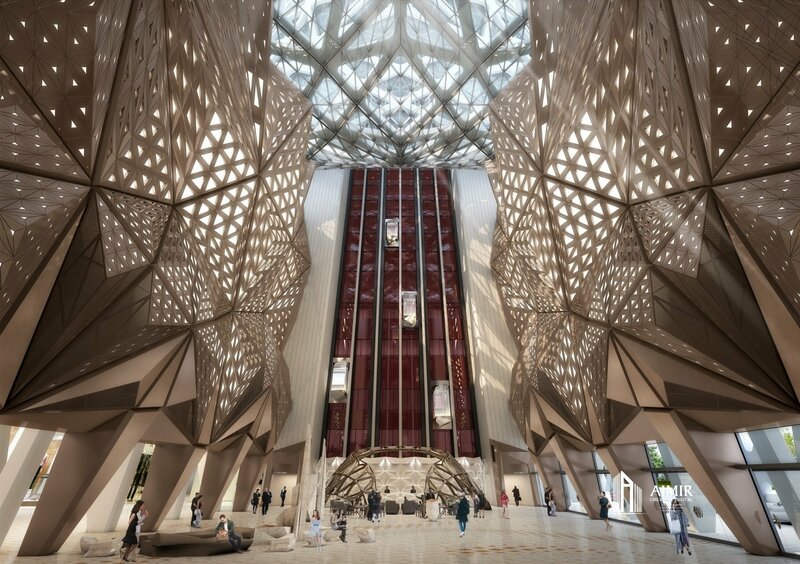 By the way, AIMIR have cooperated with Zaha Hadid architects and made the interior 3d rendering for the Morpheus Hotel, one of the 10 most anticipated projects. 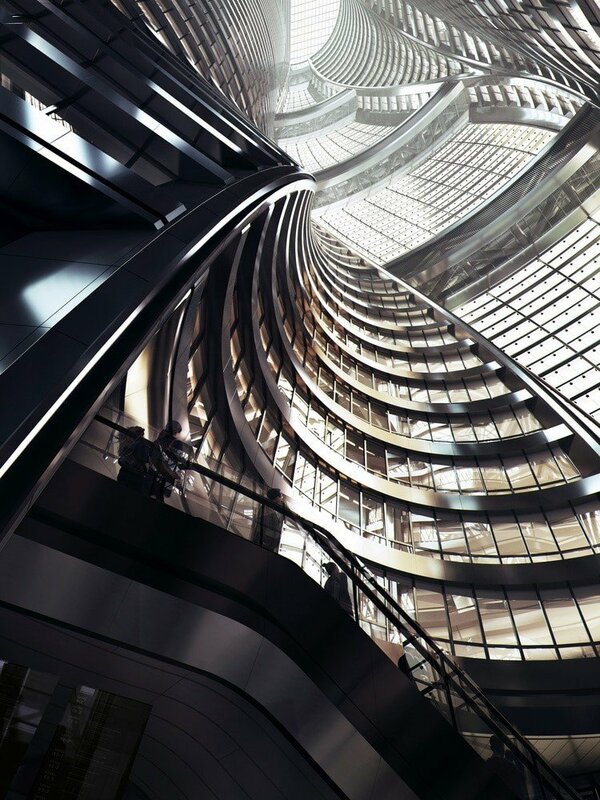 Described by its developers as the “world’s first free-form exoskeleton high rise,” Morpheus is a new flagship hotel in the City of Dreams complex. The new hotel is an unprecedented combination of structural and formal challenges to resolve a highly complex and articulated variety of uses within one coherent building. Morpheus is designed to satisfy the dreams of tomorrow’s most sophisticated international travelers. 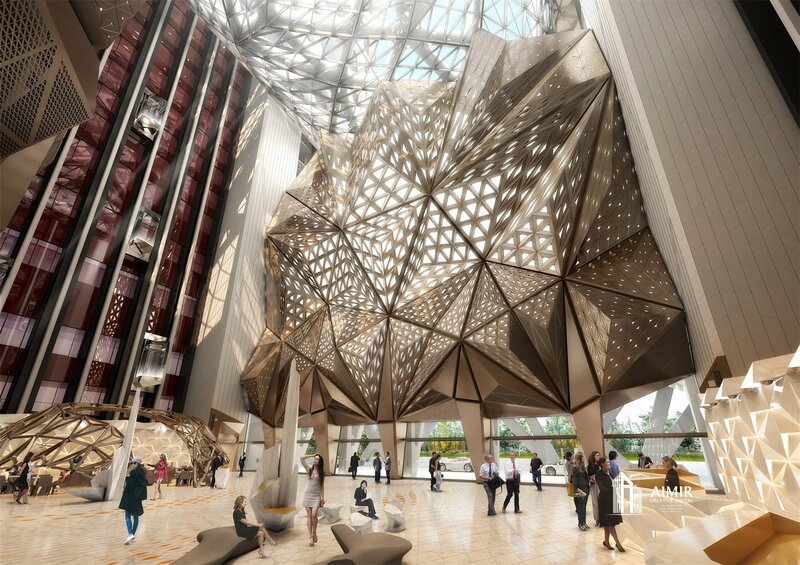 It’s beyond a great honor for AIMIR to be involved in the interior rendering part of the Morpheus Hotel project, which is one of the legendary architect Zaha Hadid’s posthumous projects. 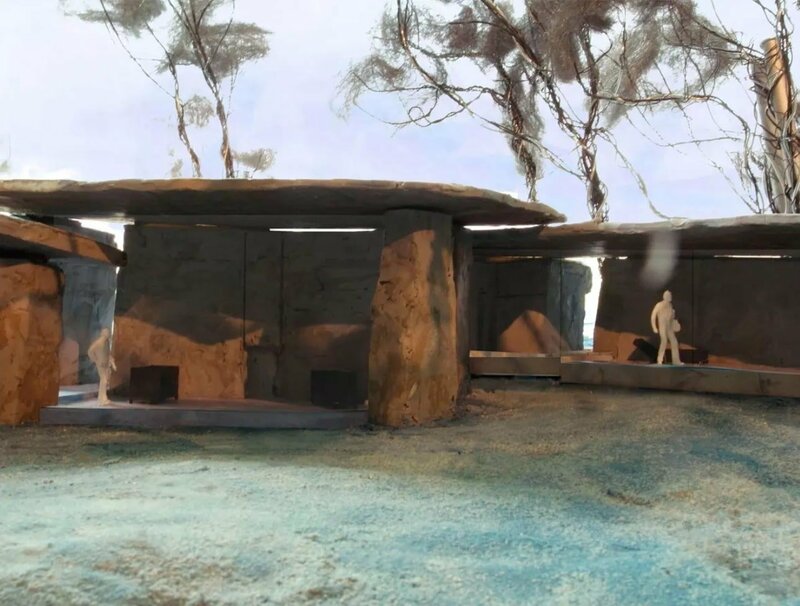 The hotel will be built in this year! When you actually walk in this hotel, you will find out that the scene is exactly the same as the 3D rendering AIMIR made. Thomas Heatherwick, the designer of the project, gained his reputation quickly in 2017. 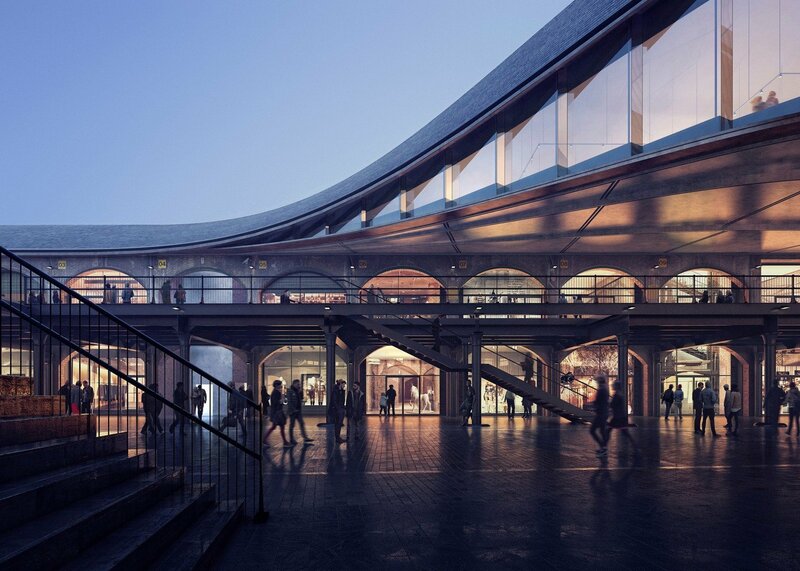 Working in Heatherwick Studio, he is leading his team to renovate the mine square, which can date back to Victoria epoch, in King’s Cross, London. After the renovation, the square will become a mixed-used development. 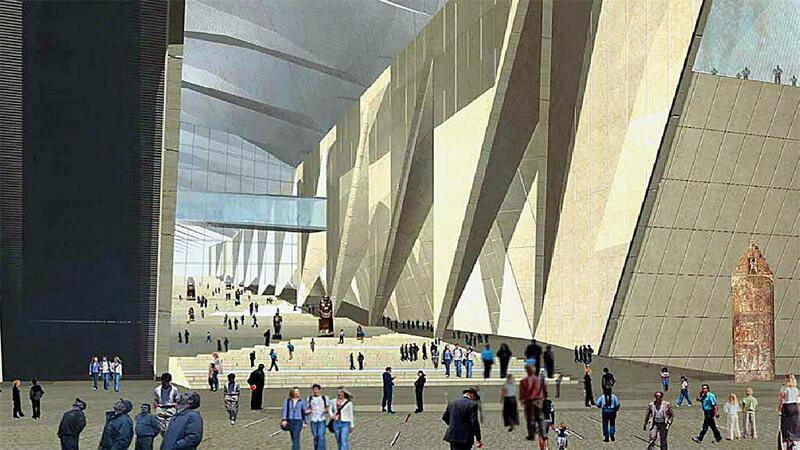 The major part of the old construction will be rebuilt whereas some traditional factors will be remained. The project Kicked off at the end of 2016 and will be completed in 2018. Decided by Zaha Haidid Architects, Leaza Soho will be launched in 2018. The most charming part of this project is its atrium. 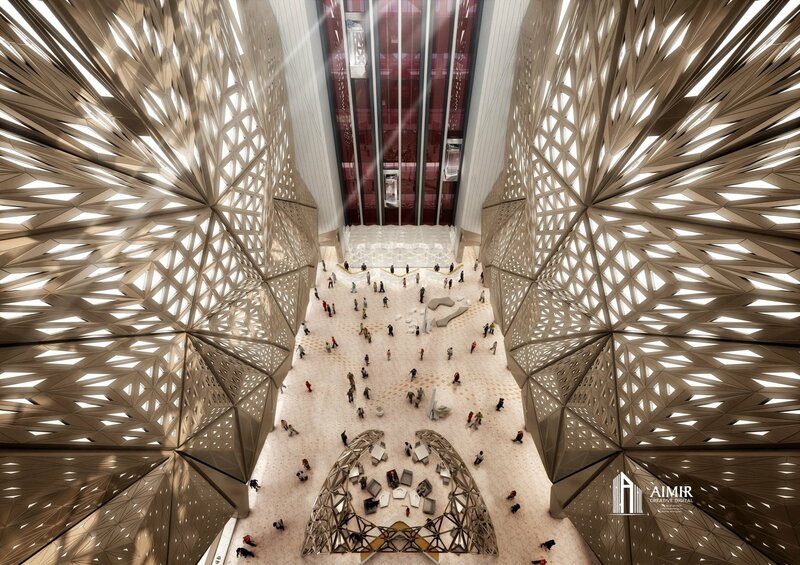 A 190m high atrium runs through the whole building, which also expresses the unique and symbolic style of design of Zaha Haidid. The sunshine slides to the ground from the top. People in there can enjoy the spectacular landscape from different angles. Leaza Soho will be the highest construction which is equipped with the atrium. 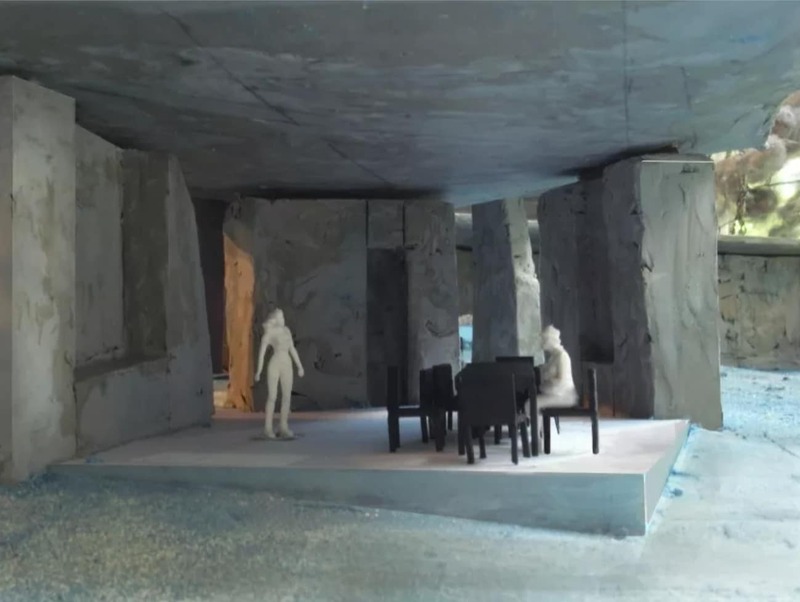 This is the Peter Zumthor’s first permanent construction in England. (His last England project Serpentine Gallery Pavilion is the temporary one.) From day one, Peter Zumthor has devoted more than 10 years on this project, whose design has turned around completely once. What’s more, the project has suffered from a couple of times of delay. Finally, it will be launched in 2018. 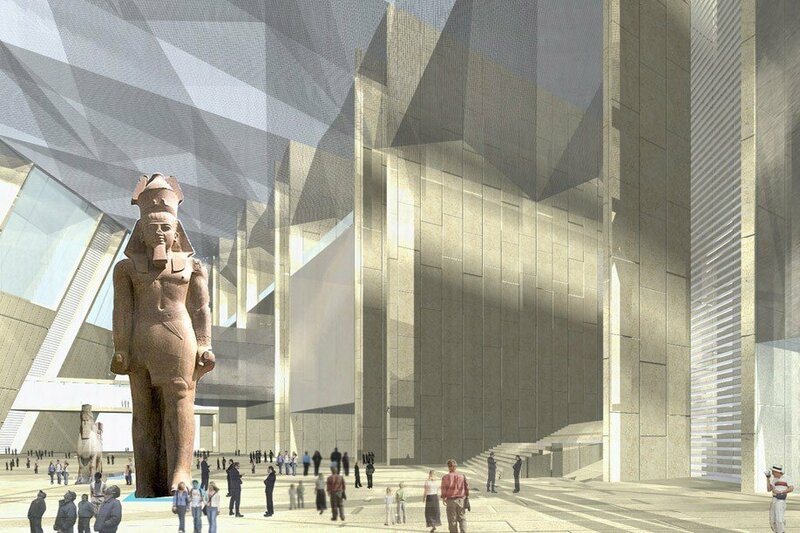 Located on the plateau between the pyramids and Cairo, the Grand Egyptian Museum is the biggest archaeological Museum in the world and is expected to partially open for the public. 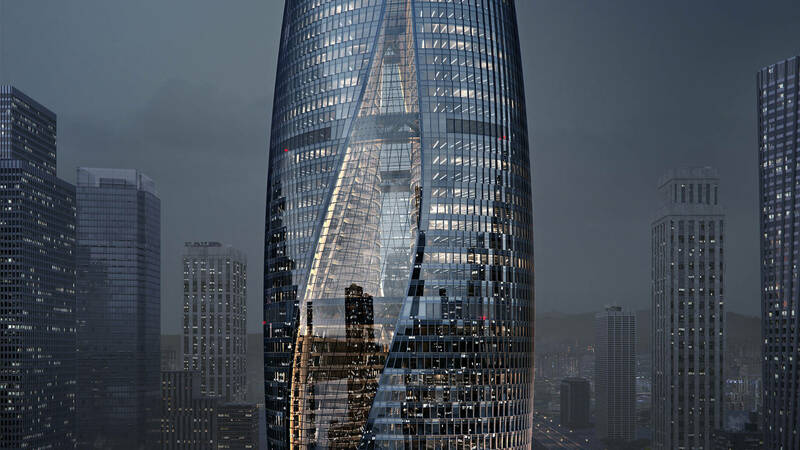 The designer of the project is Heneghan Peng Architects, whose headquarters are on Dublin and Berlin respectively. 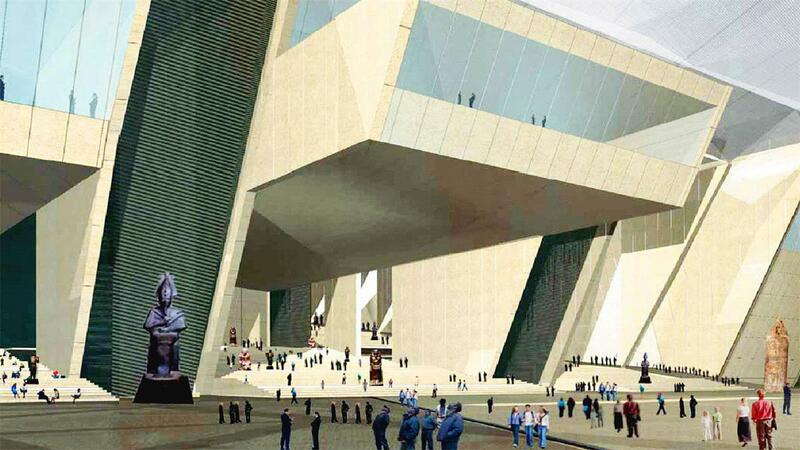 They referred to the formation process of the topography in Egypt and designed to create a more than 50m height difference between the tallest side of the museum and the lowest one. The construction stretches from the plateau to the lowland just like the Neil flows from the upstream to the downstream. In this way, the museum actually salutes the great Neil. 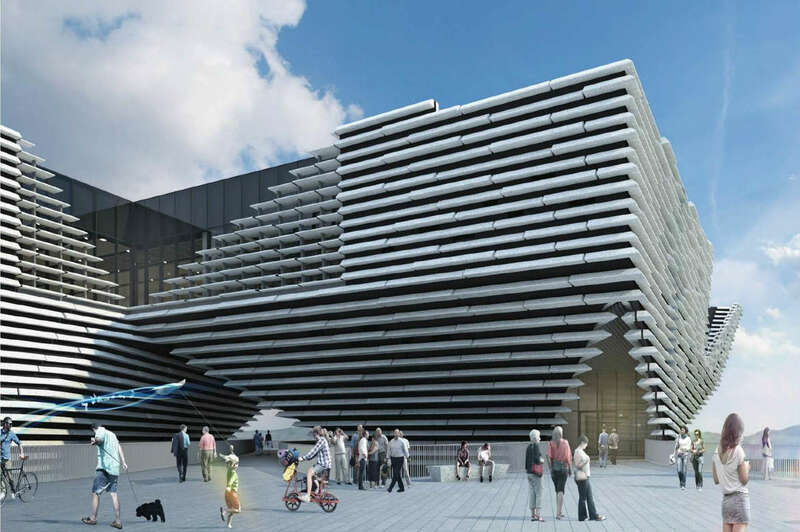 Situated on the riverside of River Thames, V&A Museum of Design is designed by Kengo Kuma, a famous Japanese architect. 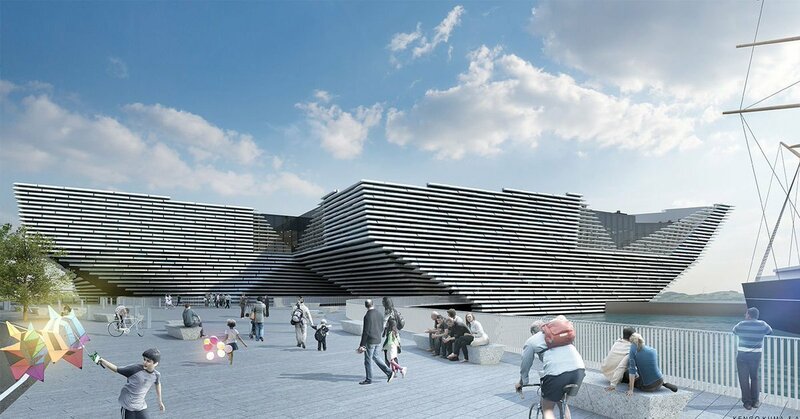 It is the first upcoming museum for design industry. The edge and corner of the building are well presented. 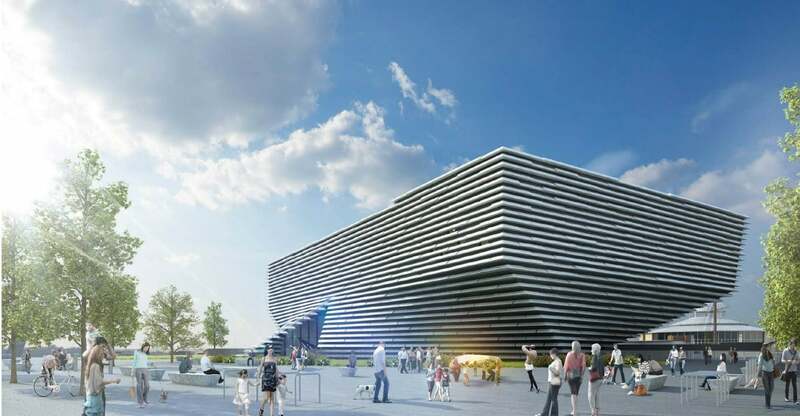 The concrete stripes make up the façade of the construction., which sometimes seems a huge rock hanging on the cliff of the Scottish Highlands, sometimes likes the bow of the ship which berthed on the Dundee Wharf. 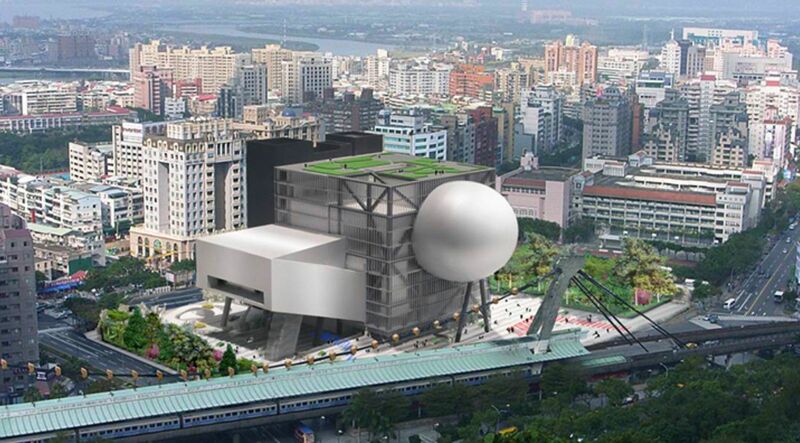 Almost ten years ago, Rem Koolhaas and OMA announced the plan of the construction of the Taipei Performing Arts Center. Now, ten years have passed and this fantasy building is in the pipe to open. 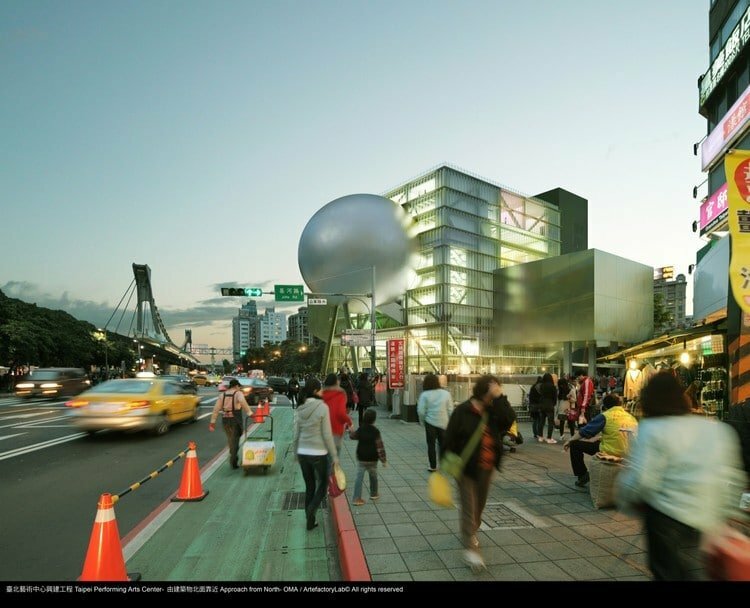 This art center accommodates a grand theatre with 1500 seat, the small one with 800 seats. 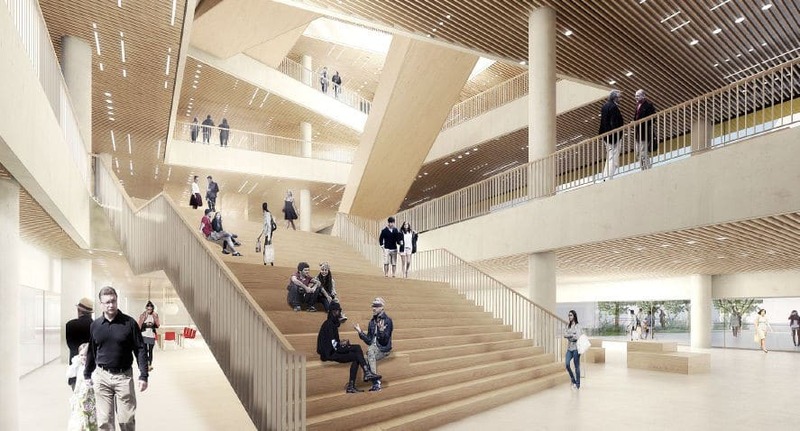 In 2018, the Amager Resource Center, which was designed by big (Bjarke Ingels Groups), was also about to open. 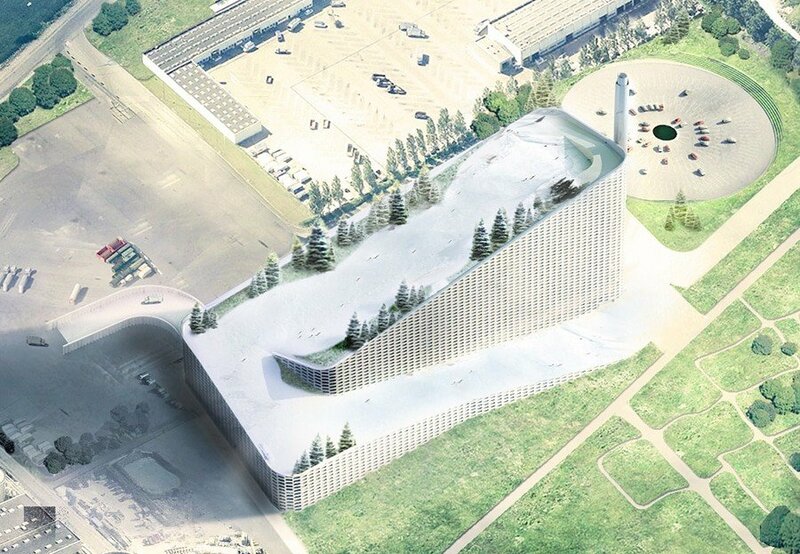 Atop the structure’s roof is a nearly 1,500-foot-long ski slope (one of the world’s longest artificial ski slopes). The slope, which becomes reality through an elevator inside the building, has paths designated for beginners, amateurs, and experts. While Denmark receives a healthy amount of snow, the country is rather flat and not an ideal terrain for ski lovers. 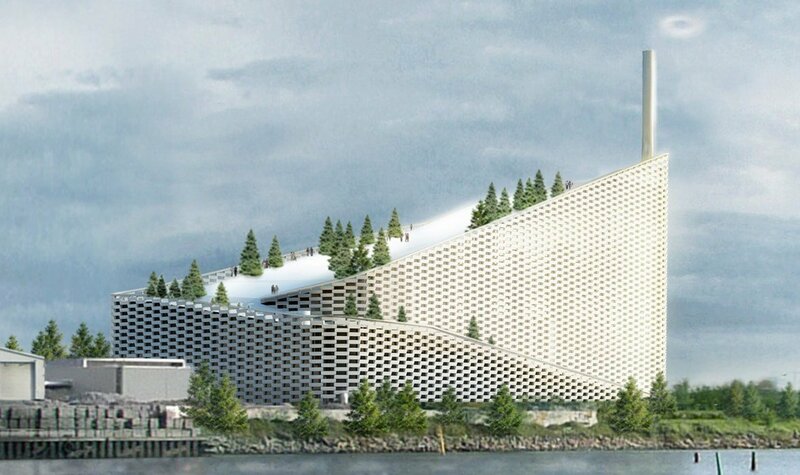 BIG’s ARC Power Plant is changing all of that in a very carbon-neutral way. Designed by MVRDV, a Holland architects, a mixed-used commercial development called Paradise City will be on the stage in this year. The building houses a night club and a shopping mall. Concerning about the texture of the surrounding buildings, the designer uses the concrete façade to echo the surrounding site. 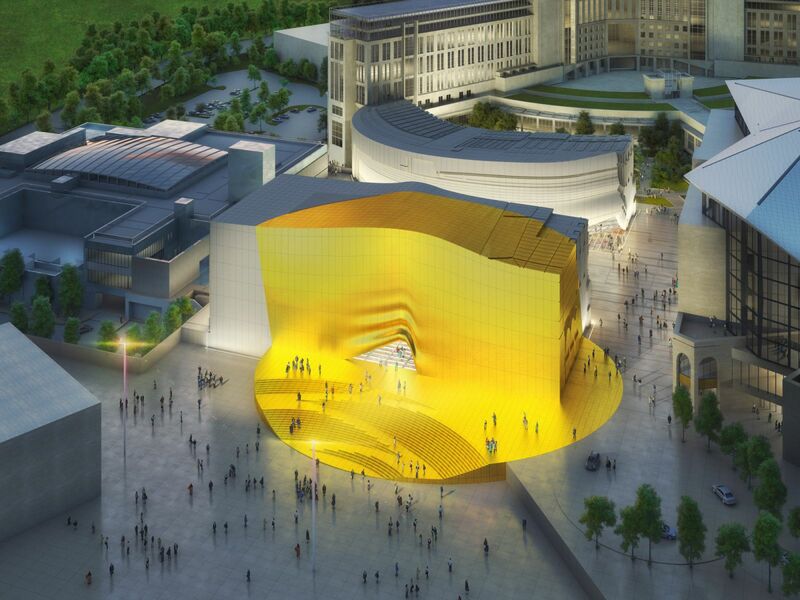 But the main entrance is highlighted by a big “yellow curtain”. It is so eye-catching that even the passengers on the planets can see it clearly. 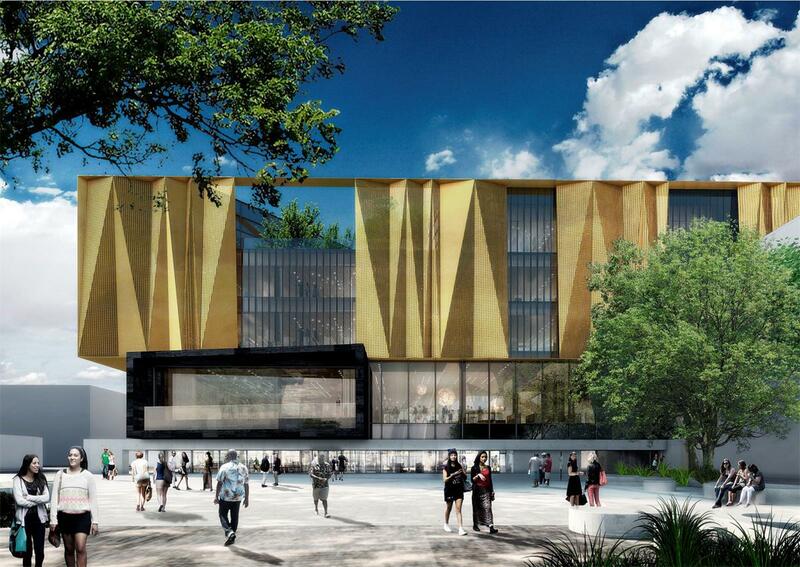 Designed by SHL (Schmidt Hammer Lassen Architects), Christchurch Central Library will open to the public in 2018. 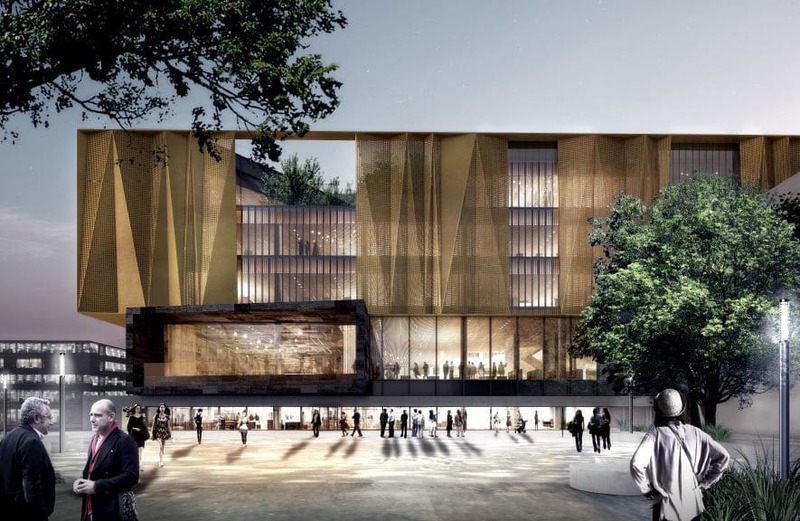 This library with golden façade is the substitution of the broken old library because of the earthquake. The building is comprised of 3 major areas.